in the Comment Box bellow to get Balloting Result Online. 10:25AM – Resource Limit Is Reached message is again and again displayed on accessing DHA Multan website. Can any one will pay attention on this problem? The website is temporarily unable to service your request as it exceeded resource limit. Please try again later. 12:45PM – It is now time of Zohr prayer, but DHA has not yet uploaded the balloting results of Residential plots of 5 Marla, 8 Marla and 10 Marla. how much time it will take to be online..
06:45PM – The whole day we waited for the results of balloting of residential plots category(5,8,10 Marlas). But no sign of uploading them on the DHA Multan official website. Why DHA management testing the patience of the investors and general public? June 6th, 2017 (Tuesday) – 03:00AM – Now DHA Multan has uploaded the balloting Results of 10 Marla Residential Plots. Still 8 Marla and 5 Marla (125 Squire Yards) Plot’s Balloting results are awaited. 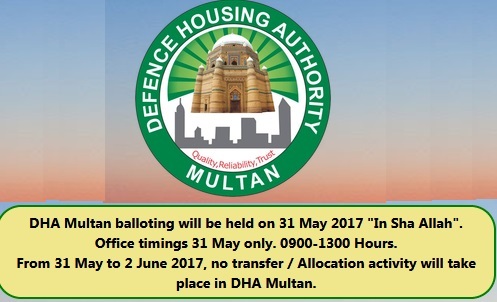 DHA Multan office will remain closed for all public dealings from 5-June-2017 to 6-June-2017. Currently Defense Housing Authority (DHA) Multan has uploaded four types of plots files. They are 4 & 8 Marla commercials and 1 & 2 Kanal residential. Keep up to browse the website. Soon the remaining sizes of plots files balloting results will be also uploaded for the public search. Please wait some more time. 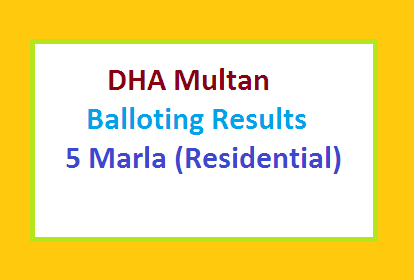 DHA Multan ballot result 4 & 8 Marla (Commercial) and 1 & 2 Kanal (Residential) has been uploaded. We hope the investors and general public will get maximum benefits from the said housing and real estate project of the country. 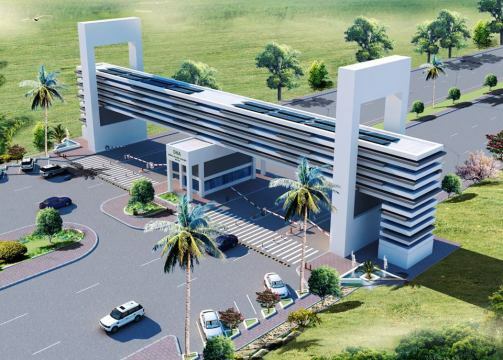 The genuine investors can get notable profit from this mega housing and real estate project. So play game wisely. Good Luck my Dear! please inform me about balloting with the reference of my slip. Dear Nighat Shaheen, balloting result of your plot is as under. Dear Qazi Tariq Javved, balloting result of your plot is as under. Please tell me your CNIC. Dear Amir Zaman Your Result of Balloting the 5M Plot in DHA Multan. Dear Parveen Akhtar your balloting result is here. Dear Fozia Shah Khanum your balloting result is here. Dear Muhammad Ammar Ahmad your balloting result is here. Dear Muhammad Kamran Shafi Your 10M plot balloting result of DHA Multan is as under. Dear Amir Nadeem Your 8M plot balloting result of DHA Multan is here. 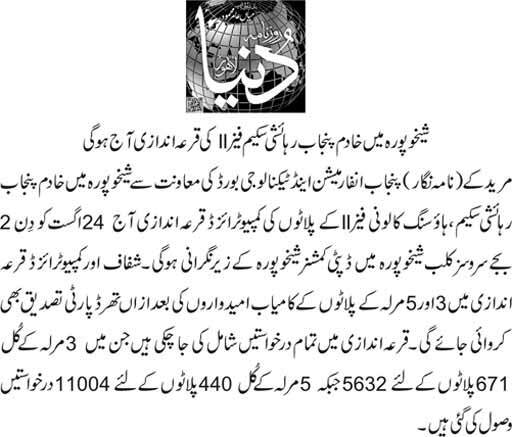 Dear Nadeem Abbas Your 4M commercial plot balloting result of DHA Multan is here. Dear Nadeem Abbas Your 1K commercial plot balloting result of DHA Multan is here. Dear Nadeem Abbas Your 10M plot balloting result of DHA Multan is here. Dear Nadeem Abbas Your 8M plot balloting result of DHA Multan is here. Dear Muhammad Taimoor Aslam Your 5M plot balloting result of DHA Multan is as under. Dear Rizwan khan Your 5M plot balloting result of DHA Multan is as under. Dear Muhammad Adeel your plot balloting result is as under. Dear Ghulam Mustafa Your 4 Marla plot Balloting Result of DHA Multan is as under..
Dear Farmaish Bhatti Your 4 Marla plot Balloting Result of DHA Multan is as under..
Dear Karam Hussain your plot application balloting Result of 8M is as under. Dear Asfa Bashir Your 1K plot balloting Result is here..
your 5M Plot application balloting Result is as under..
your 10M Plot application balloting Result is as under..
Dear Shehryar Khawar, Your balloting Result is as under. 10 marla residential and 1 kanal residential plot result plz?? No Success Dear Sheraz Anwar..
Dear Syed Muhammad Qasim Rizvi your balloting Result of Plot application is here. Dear Muhammad Hanif your 8M plot balloting result is here ..
10 marla residential and 1 kanal residential plot result?? Please tell me the result? Due to over load the response from DHA Website for balloting Result is dead slow… Wait, wait and wait…. Balloting result may be intimated please. Does any people won any plot? I found no successful record from all above NIC. Its unbelievable. I think The balloting process was not transparent. Now, I am believing DHA just played a game, gathered money and gave plots to their own people not general public. What about balloting result please? Dear Rana Wajid Ali your 5M balloting Result is as under. Dear Hafiz Naseer Ahmed your 5M balloting Result is as under. 5 marla plot result update me. Dear Abdul Qadeer your 5M balloting Result is as under. 5 marla plot conform me the result. 5 marla plot ki update day dayn plz. 5 marla plot plz comfrm me the result.. Invalid Applicant CNIC.Please enter valid applicant CNIC. please send your CNIC (id Card) number.. I had applied for following catag. of residential plot 5marla, 8marla and 10marla. Plz let me update the results accordingly. Please update me the results. Dear Waqas Ahmad. Your 10M Plot ballot Result is here. It can be viewed on following website link. Dear Sadaf hassan.. Your 10 Marla plot application balloting result is as under. Your Balloting result of 10M plot is as under.. Applied for 5 marla residential plot. Dear Ahad majeed. your both application has been rejected.. Plot size 10 Marla residential. Dear Tanseer Haider your balloting result of 10M is here..
DHA Multan is totally fraud I know people who applied 20 form but didn’t appear to qualify one. FRAUD FRAUD FRAUD They only give their plot to Army Officers or dealers and make General public CHUTIA to raise money. Today till 07-06-2017, 5 marlas plot balloting results are not announced yet. How much time will be required to DHA? DHA is creating suspence. Dear Abdul Zaheer Piracha your 10M balloting Result is here..
CNIC NO. 4230122353639 (8 Marla Residential) please inform me about the result. CNIC NO. 4230176925292 (8 Marla residential) please inform me about the result. Same message for all against all CNIC DHA raise money from public and give the plot to army officers and dealers. Aslam-o-alikum. if there is a balloted plot of 8 Marla some mistake in Name. then how i can make correct while i send an email on 4th April to support@dhamultan.org. while now plot has balloted.i try to call given contact no of dha Multan 061-6516036-38. this number is contonuous busy or if bell gone then no one pickup the phone. So please solve mine issue. your 8M balloting Result is here..
CNIC# is 4210187390406 and deposit slip # is 2316345 .plz tell me the balloting result for 5 marla residential plot. here is your Balloting result for 8M plot as under..
15602-3010777-9 8 marla plot residental thnkuh! Dear Muhammad Ehsan your Balloting result for 8M plot is as under..
here is your Balloting result for 8M plot is as under..
Dear Faheem your Balloting result for 1K plot is as under..
Dear Muhammad Safeer. your balloting result of 10M is here..
Dha Multan , make us foolish , it is too much . Absolutely wrong , me never advice to anyone for participant in dha any script. Kindly notify me about my result through my email. thank you. kindly notify me about my result through my email address. So far do you find any successful application? I think there is still some problem in uploading. What do you think? Does anyone won any plot? Now, I am believing DHA just played a game, gathered money and gave plots to their own people not general public. We found no record successful…What is problem? We also can not think… matter is not transparent..
1- Website is broken down – too much traffic and is not able to handle that, or they haven’t updated the results. 2- The balloting process was not transparent. They give plots to their own people. As everyone knows in every country, Army is to serve the country & in Pakistan, country is to serve the Army and fulfill their expanses. Dear Masood Anwar your 10M plot balloting result is here.. I think ksi aam ppl ka nai nikala sb ny xtra money dai k lay loye hain warna ksi ik ka tu nikaly sb ko same msg better luck next time tu phr nikala kis ka dont know …. Kindly let me know when will the balloting result of 5 Marla residential plot be displayed? Dear Sohail Safdar Your 1K plot balloting result is here..
Dear Azghul Abdul Rehman your 10 Marla plot balloting result is here..
Dear 8 Marla Plot Result not announced yet. wait pl. 42201-2191453-8 applied for 10 marla. Note :Only 4 & 8 Marla (Commercial) , 1 & 2 Kanal and 10 Marla (Residential) applications will be displayed. 4220121914538 applied for 10 marla. They should provide the list of successful candidates. So that we should also know who wins. Dosto agar kisi Fouji Bhai our Registered Real Estate Agent k ilawa kisi ka plot nikla tou yahan per mention zaroor kerna. Our agar na nikla tou ainda DHA k plots main soch k invest kerna. Kisi fouji ka b nhi nikla. As per my knowledge and using some links, DHA received 400,000 Applications. Do yourself a math, you will come to know how much they are earning just through application fees. And not even a single person (Common Man like me) got lucky in the draw. Everybody is making fool to this nation. There is no transparency, nobody knows what actually happened in the draw or what is the procedure. And what I am hearing from different sources, they have reduced the plots quantity due to overwhelming response from the public and now DHA is planning to fool this nation again in the form of Phase II, Phase III and so on. How pathetic we are as a nation. Dear Maj. Iqbal Result of 1 Kanal plot. Note :Only 1 Kanal (Residential) applications will be displayed. Dear nadeem result of 4 marla Commercial is as under. It’s a scam, and DHA management is shambles. Dear Abdul hassan here is result of your application..
Sir could you please tell us the result.Your cooperation will be highly appreciated. Kisi ka result nahi dya k congrats aapka plot nikal aaya its all fraud must be complained. Main nay 10 application submit ki thi aik bhi nhi lagi. Sub fraud hai. Note :Only 4 & 8 Marla (Commercial) and 1 & 2 Kanal (Residential) applications will be displayed. 5 marla and 10 marla residential plots. 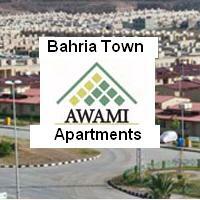 8 marla residential plot my cnic-5520202224569 plz conform me about balloting result. Still DHA Multan has not announce the Result of 5 Marla Plots. wait more pl..
Dear Atif Azad..your Result is ad follows..
NIC 4200004503357; applied for one Kanal Residential. Any good news pls. ote :Only 4 & 8 Marla (Commercial) and 1 & 2 Kanal (Residential) applications will be displayed. Dear Mehreen / Bismillah Fayyazi Choudhry your 2K Plot Balloting Result..